Living in a rural area in the Arizona desert I see an assortment of animals, but they are always outside. Recently however, I saw evidence of a mouse in the laundry room near the washing machine. I didn't see the mouse but I knew one had been there, I saw the evidence three days in a row. I didn't want to kill it, I simply wanted it to go out the same way it came in. So I turned to the internet for advice on how to humanely set the mouse free. Here are my top five ways to get rid of mice naturally. Fortunately for me, there is an owl's nest in a tree about 50 feet from my house. Owls eat mice. Unfortunately, the owls don't come around in the summer. Simply saturate a few pieces of sponge* with 100% peppermint oil and place them in the area where you've seen evidence of a mouse. This is an odor that mice find offensive so they steer clear, but for humans it's rather pleasant so using it in the kitchen is more appealing than mothballs and ammonia. Peppermint oil dries up after two or three days so for it to be effective you'll need to replace the cotton balls regularly until the little pests have gone elsewhere. *I buy cheap sponges at the dollar store then cut them into whatever size I need. As the peppermint oil evaporates, the same bits of sponge can be saturated again. Unlike cotton balls which need to be discarded. The common denominator among most natural repellents is a strong smell that is unpleasant to the mouse. They will retreat from the odor and hopefully find their way to the outdoors. I had a bottle of ammonia on hand so I wiped down the washing machine and the floor with ammonia, I didn't rinse with water, leaving the strong smell. The bad news is the smell was too strong for me as it permeated throughout the house, the good news is the mouse never returned. You can also use these bleach packs for an odor that is unpleasant and will drive the mouse away. DO NOT USE THESE ITEMS TOGETHER! Old fashioned mothballs have a strong enough odor to repel mice, yet the smell isn't so strong that it is overpowering. I placed a box of mothballs on the floor near where I saw the mouse droppings. 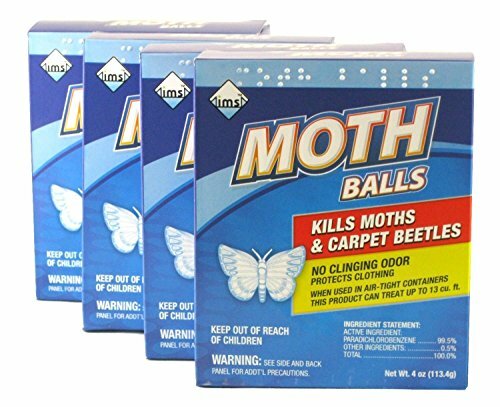 I wasn't quite sure if mothballs alone would work so I went on to remedy no. 2. Something is working because I haven't seen evidence of a mouse. 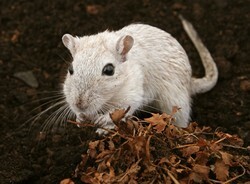 If your mouse is in the kitchen, you might not want the odors of ammonia and mothballs. Continue reading for other options. They might be cute little things but you don't want them to begin nesting in your home. Before you know it you'll have an infestation that only an exterminator is qualified to resolve. The moment you see mouse droppings is when you should take action. (mouse droppings look like black rice). 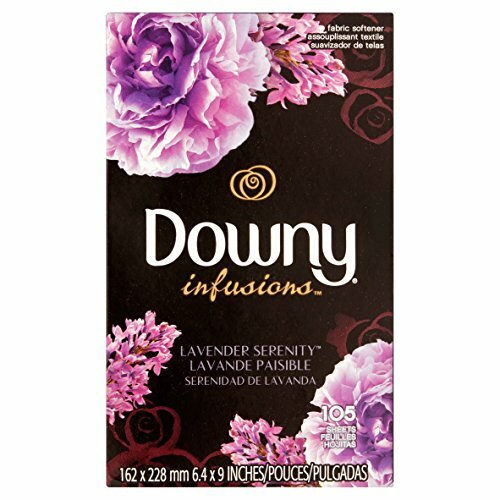 Another strong odor that mice retreat from are dryer sheets. I had a box of lavender scented dryer sheets so I used a few refrigerator magnets to attach them to the side of the washing machine, down towards the bottom close to the floor. They have a nice scent which masked the other odors of mothballs and ammonia. Convenient biodegradable pouches of herbal extracts and plants. Pleasant-smelling to humans but a repellent for rodents who will look for someplace else to take up residence. 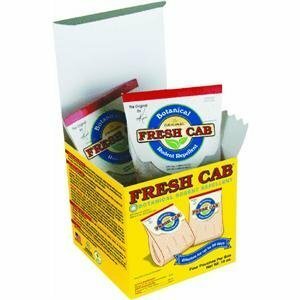 Fresh Cab is endorsed by the National Home and Garden Club and is registered with the Environmental Protection Agency. Until recently I've always had a cat, and never had mice. It's only been since my sweet little Suzanna passed away that a mouse dared to enter. Get a cat and you'll never have mouse issues again. Just think of all the cute kitten videos you can make and post on social media sites! I never had a mouse when she was alive! I don't know what brought them indoors. There's no shortage of food outside, maybe it was too hot outdoors. In any event, I haven't seen a mouse in over a year. candy47, Why do mice want to come inside -- with all the people and product odors that stick to animal bodies and make them the smelliest members of their wildlife communities -- in such a beautifully clear, dry place as the rural Arizona desert? Was your experience prompted by a paucity of mice food or by a spot of inclement weather? Glad you liked it AnushaJain. I'm all for trapping and releasing rather than killing. Thanks a ton for sharing all these amazing tips. Although we don't have a chronic problem, but once in a while, these little creatures find their way inside our abode. I loved the idea of humane trap too. Thanks again, this was an awesome piece of writing. Thanks for reminding me of that Bill. I'm sure I can find a video for trapping in a plastic bottle, then releasing. If after all this the mice won't budge humane trapping is also getting easier. I still feel the same way Frank, about all my cats. But they gave us such wonderful memories. I took Tarzan to be put down, as Mother could not bear to watch. I still recall the shudder I felt as the needle was inserted. Some memories are not nice. I'm sorry to hear about your mother's beloved Tarzan. I've had the task of putting to sleep three cats due to illness. My mother had a lovely cat called Tarzan, a tom who was a masterful mouser. She kept him years until his health failed so badly we had to have him put to sleep. I have good memories of that wonderful cat. 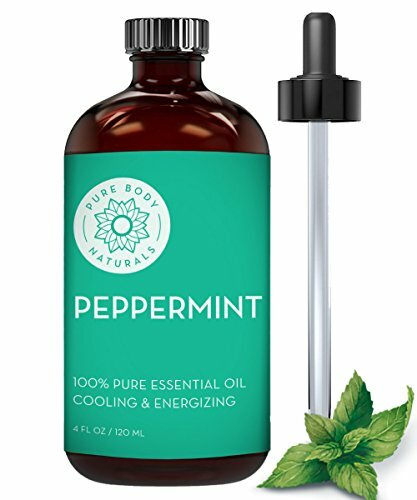 Pure Body Naturals Undiluted Essential Peppermint Oil, 4 fl. oz.